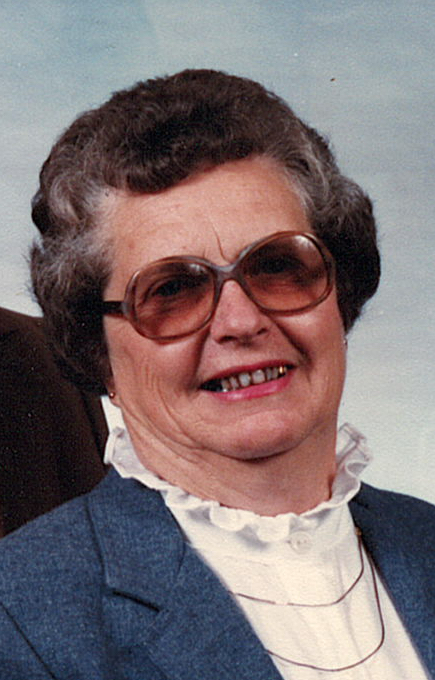 Loma G. Erickson, age 95, of Westby, passed away on Tuesday, April 2nd, 2019 at Norseland Nursing Home in Westby. She was born on August 17th, 1923 to Otto and Martha “Ella” (Woodhouse) Oliver. She attended the Collin country school until 8thgrade. On October 20th, 1943 she married Sherman Erickson at the West Prairie Lutheran Parsonage. Together they had 2 children. Loma and Sherman farmed for many years in Red Mound until their retirement, when they moved to Westby in 2012. She was a proud member of the Bad Axe Lutheran church and had served as President of the Ladies’ Aid. During the years they were foster parents for 2 boys and a girl. She loved to make bars for her grandchildren as well as make wedding cakes. She had many hobbies including fishing for pan fish, fish fries, cooking, and spending time with her family. She was a woman of very few words and never repeated herself. She will be greatly missed. She is survived by her son Larry Erickson of Rural La Crosse; granddaughter Dawn Jorstad of Hokah, MN; great-grandchildren Blake Ferkingstad of La Crosse, and Jacob and Allison Jorstad of Hokah, MN; a brother Neil Oliver; a brother-in-law Charles “Pete” Erickson of Westby; as well as many other family and friends. She was preceded in death by her husband Sherman Erickson, a daughter Sharon Erickson, her parents, and many other siblings, family and friends. Funeral services will be held on Saturday, April 6th at 11 a.m. at the Thorson Funeral Home in Viroqua with Pastor Donald Greven officiating. Burial will follow in the Walnut Mound Cemetery in Retreat. Family and friends may call from 5-7 on Friday, April 5th at the funeral home, and again from 10 a.m. until the time of the service. Online condolences may be left for the family at www.thorsonfuneralhome.com.